Serendipity is one of my beloved words in English which doesn’t have an exact equivalence in Turkish, my mother tongue. When I dip my fingers into the word-pool of my memory regarding our first meeting with Sallie Bingham at the enchanted Acequia Madre House in Santa Fe, serendipity is the word that I pull out. It was my first time in New Mexico and my second time as a writer-in-residence in the US. Our brief and formal introductory talk immediately turned into a longer and friendly conversation when Sallie modestly shared that she too was a writer and was interested in epistolary literature among other genres. The novel I came to write in WISC (Women’s International Study Center) was made up of three women’s exchange of letters but the real surprise came when she shared with me her connection to Lady Mary Montagu. I had spent several years of my academic life on Lady Mary’s Turkish Letters, arguing how unique and ahead of her time she was from a feminist perspective. 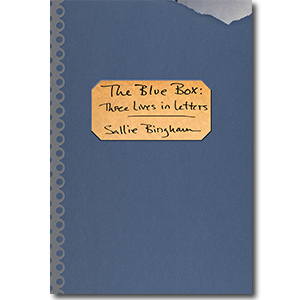 I began with the Blue Box: Three Lives in Letters because it was about “women and letters,” two key words that I cannot pass in any corner of the world. I also discovered more than ten books authored by Sallie Bingham lined up on a shelf at the Santa Fe Public Library. I checked out Transgressions and Red Car. Modesty became the second word when I think of Sallie from that day on. I had no idea how prolific she was as an author until I checked her website and how comfortably she embraced the word feminist. The days followed. WISC provided me the time, the most precious and irretrievable entity. Not only was I given the time to write but also to read in the tranquility of my temporary Santa Fe home. The Blue Box and Sallie’s immediate responses to my emails, our exchange of ideas and feedback deserve another long essay. But her short stories simply flowed. The female characters and how their strength and vulnerability intertwined left strong impressions on me. The sharpness in describing universalities and complexities of womanhood within some very local settings surprised and reminded me of the power of feminist literature. I thought that they should be shared with literature lovers in Turkey who cannot read in English but love to follow world literature in translation. The women in particular might feel the satisfaction and empowerment that I have felt after reading Sallie Bingham’s stories. I taught literary translation for some years at university. I also occasionally went through practicing this stressful and underpaid task for money. But a miracle happens when you translate for the pure pleasure of sharing and sharpening your skills of translation. Translation is a journey, and this journey can become very exciting if one is passionate about literature, writing, and words in general. In fact, I feel like a shamaness or a midwife while introducing one writer to a new group of readers in another language because I live in both worlds and perform a delicate task. I feel connected to the creator of the words in a special way that she does not know. Finally there is the trust issue, an ethical responsibility that I feel on my shoulders (a very good reason to decline some offers for literary translation). I chose “Apricots” and “Sweet Peas” as a start, which took me several weeks to translate but I had no deadlines and no complaints. I was doing it for the type of pleasure I tried to explain above. However, I do wish strongly that it triggers more initiatives for translation both in Turkey and beyond. When I finished the translation, I imagined sending the files in colorful gift wrapping papers for the generous, modest feminist writer/friend. Oh, and one copy for the Goddess of serendipities wherever she is residing. 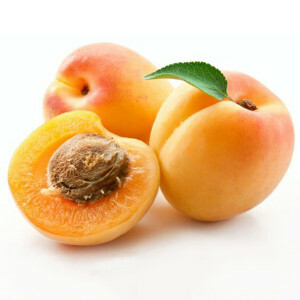 “Apricots ” from: Mending: New and Selected Stories and Red Car— translated by Ozlem Ezer. 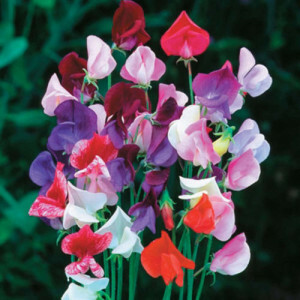 “Sweet Peas ” from: Mending: New and Selected Stories and Transgressions: Stories— translated by Ozlem Ezer.